Hillsdale College’s Imprimis pub­li­cation reached 4 million sub­scribers toward the end of 2018. Since entering cir­cu­lation in 1972 with 1,000 sub­scribers, Imprimis’ growth was steady in its early years but has spiked more recently. The admis­sions and mar­keting depart­ments both note clear effects in their own depart­ments due to Imprimis’ increasing pop­u­larity. Director of Pro­grams for External Affairs Matt Bell said there has been a change in the rate of sub­scribers Imprimis gained. Hillsdale College orig­i­nally created Imprimis as a monthly journal from The Center for Con­structive Alter­na­tives to dis­tribute CCA material to friends of the college. Today, however, Imprimis fea­tures any speech given in asso­ci­ation with Hillsdale College, on or off campus. Some off-campus speeches from former issues include ones from the Allan P. Kirby Jr. Center for Con­sti­tu­tional Studies, the National Lead­ership Seminar, and a Hillsdale College cruise. Imprimis, trans­lated from Latin to mean “in the first place,” empha­sizes reprinting speeches with limited editing. Articles typ­i­cally run from 2,400 to 3,600 words and cover a range of topics dis­cussed by speakers. Past speakers fea­tured in Imprimis include Vice Pres­ident Mike Pence, former Pres­ident Ronald Reagan, former U.K. Prime Min­ister Mar­garet Thatcher, business mogul Steve Forbes, busi­nessman Jay Van Andel, actor Leonard Nimoy from “Star Trek,” and Dave Thomas, founder of Wendy’s. Although the style and content of speakers may change throughout the years, the college’s mission, as fur­thered in Imprimis, remains the same. 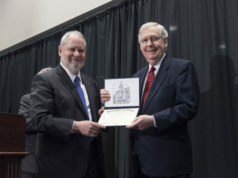 Sending Imprimis to sub­scribers is a key part of the college’s work to restore and defend liberty nationwide through edu­cation, according to Asso­ciate Vice Pres­ident of National Donor Out­reach Bill Gray. 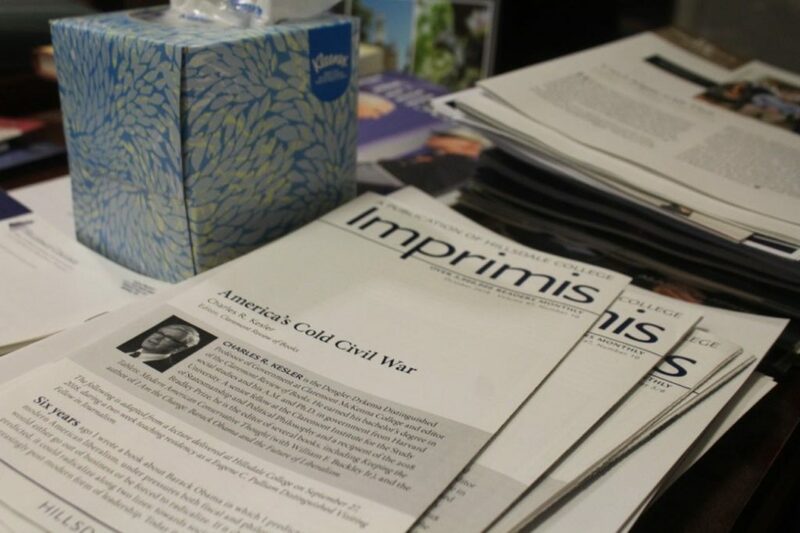 Imprimis is also one of the oldest and strongest ways to market for Hillsdale College. 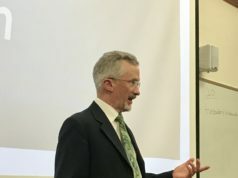 “By pro­viding valuable insights and content to our 4 million plus sub­scribers, it helps so many people know about the college, as well as showing that Hillsdale is a unique place where ideas like these are dis­cussed and argued about,” Gray said. Since Imprimis’ debut in 1972, the college has evolved to use addi­tional mar­keting channels such as national talk radio, mailings asking for referrals, ads in pub­li­ca­tions and other places, and digital mar­keting channels. Arlan K. Gilbert, Hillsdale College his­torian, said that Imprimis is increas­ingly important since Hillsdale’s mission is under attack. In a recent edition of Imprimis, he said in his speech that Imprimis itself is an effective way to make friends through sharing this mission. Director of External Rela­tions for Ath­letic Insti­tu­tional Advancement Jeff Lantis told The Col­legian in 2003 that Imprimis has had an effect on student’s choices to attend Hillsdale. He reported that Imprimis was reg­u­larly listed on appli­cation forms as a link to the college, during his time as director of admis­sions. And the number of stu­dents who mention Imprimis has only grown. 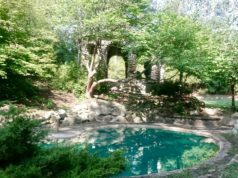 In 2018, when freshman were asked through which mediums they heard of Hillsdale College, 66 percent of stu­dents cited Imprimis, according to Director of Field Recruitment Jenny Pridgeon. This con­tinued growth is in part due to changes in mar­keting strategy. Whereas sub­scription growth depended on word-of-mouth when Imprimis was first launched, there are many dif­ferent plat­forms the mar­keting department uses today. “There are so many stories of stu­dents who learned about Hillsdale because of Imprimis, and Hillsdale’s many donors and friends can see the impact of their support every month when they receive their issue,” Gray said. Imprimis is a huge joke now. Look over the last 12 months of pub­li­ca­tions. Some of the speakers have been mis-applying facts and the many of the argu­ments are clearly just hate-baiting and playing to their base. BTW, also worth noting that the imprimis twitter feed blocked me when I asked ques­tions about this. What are you hiding from? check the record. I never swore or made neg­ative com­ments, I just asked the ques­tions that a place like Hillsdale should be wanting to answer!